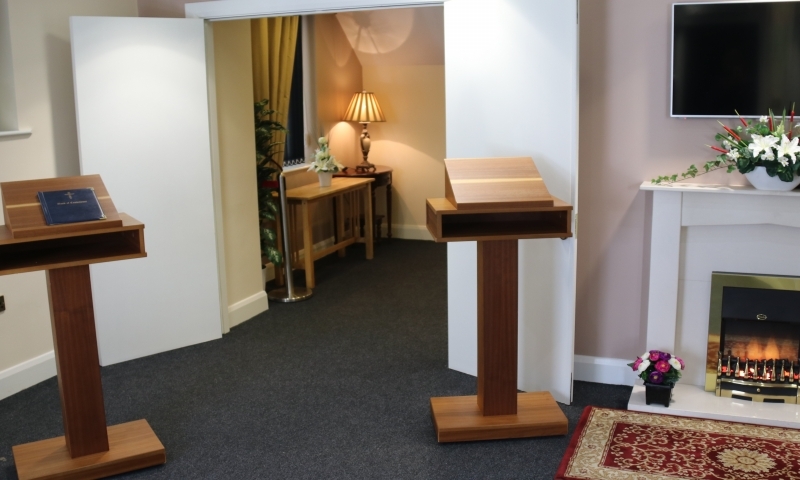 Our funeral home premises in Kilconnell is in a rural setting situated close to Kilconnell Abbey, a historical Franciscan Friary. 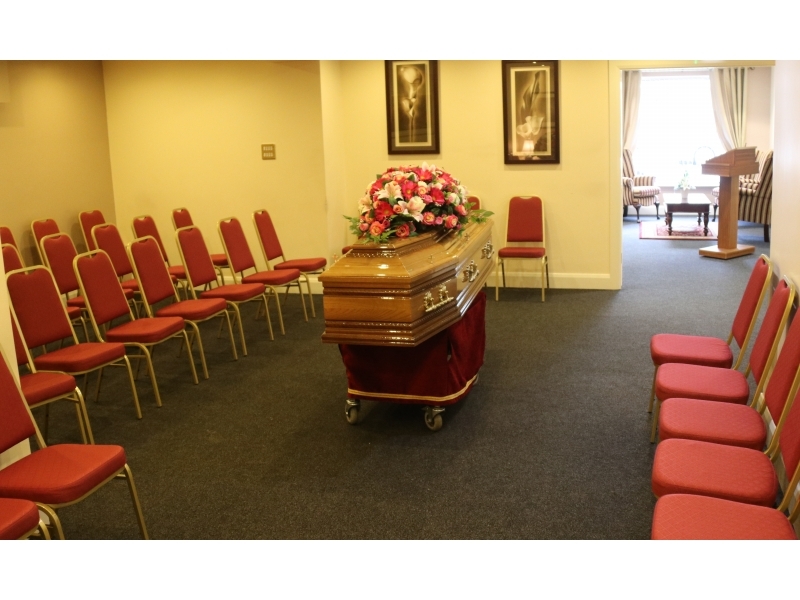 The funeral home which is wheelchair accessible has a large foyer leading to two spacious comfortable rooms and a seating area for 50 people. 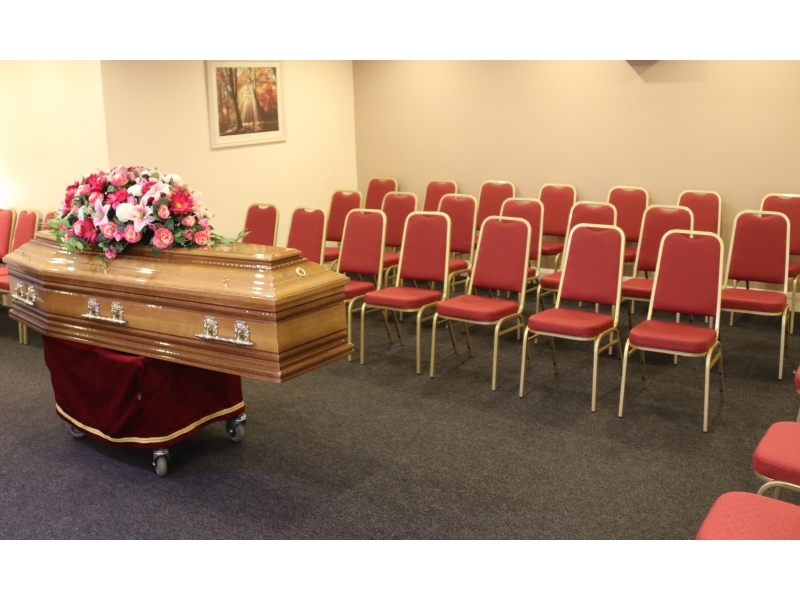 To the rear of the funeral home there are wheelchair accessible toilets with a planned catering area with dining facilities. 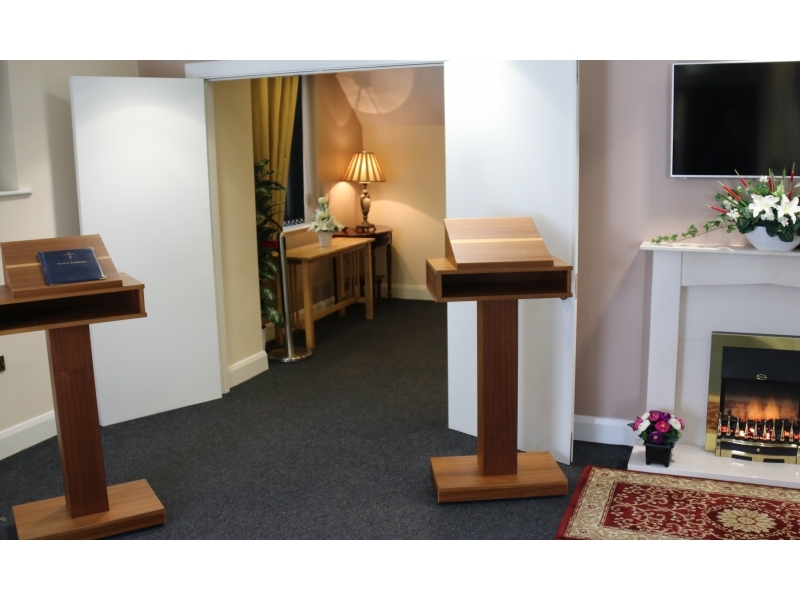 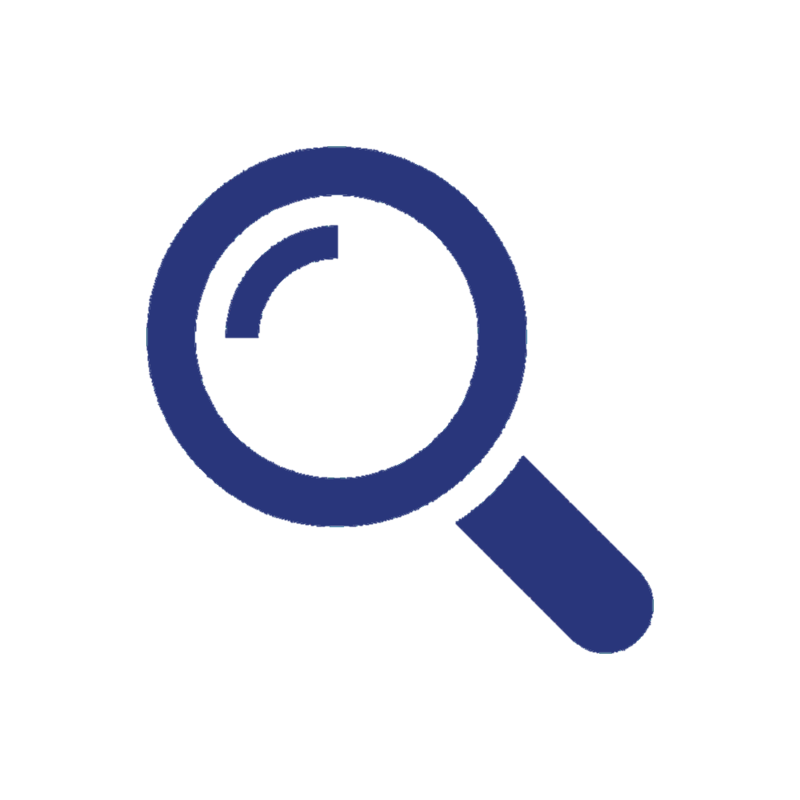 Serenity Funeral Home is located on Main Street, Ballinasloe, County Galway. 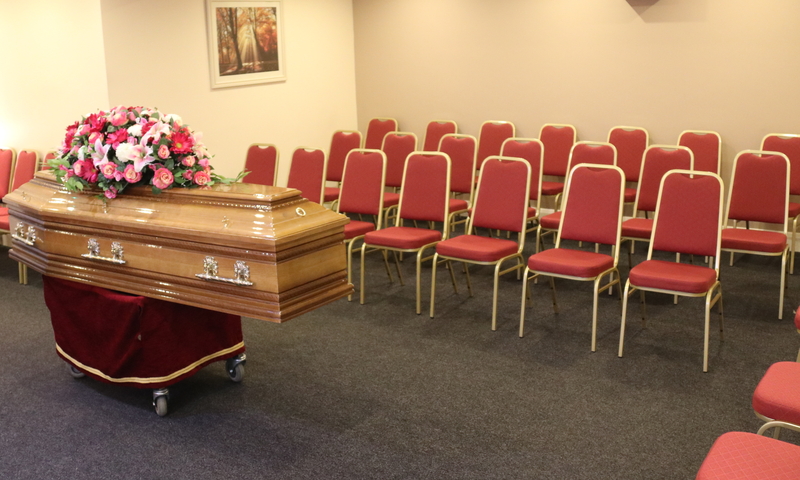 There is a large reception area leading to a large Chapel of rest/reposal area with seating for 60 people where families can sit with their loved ones while meeting those who come to pay their respects. 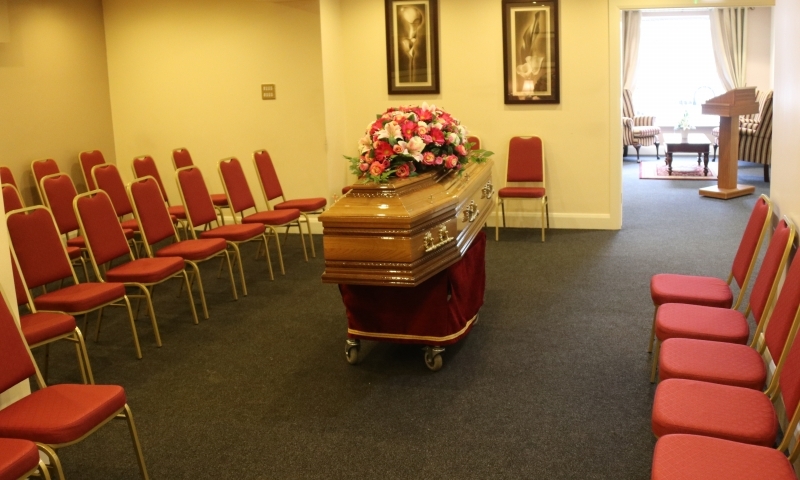 The funeral home is wheelchair accessible and has toilet facilities. 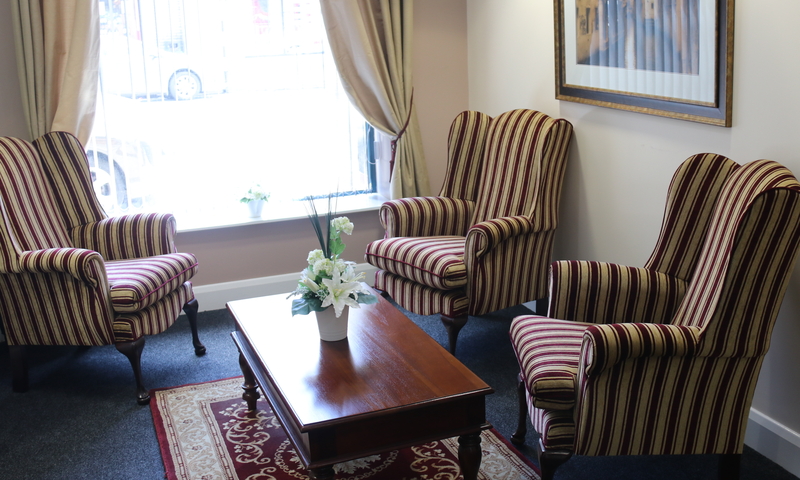 The rear entrance leads to a spacious car park which offers off street parking. 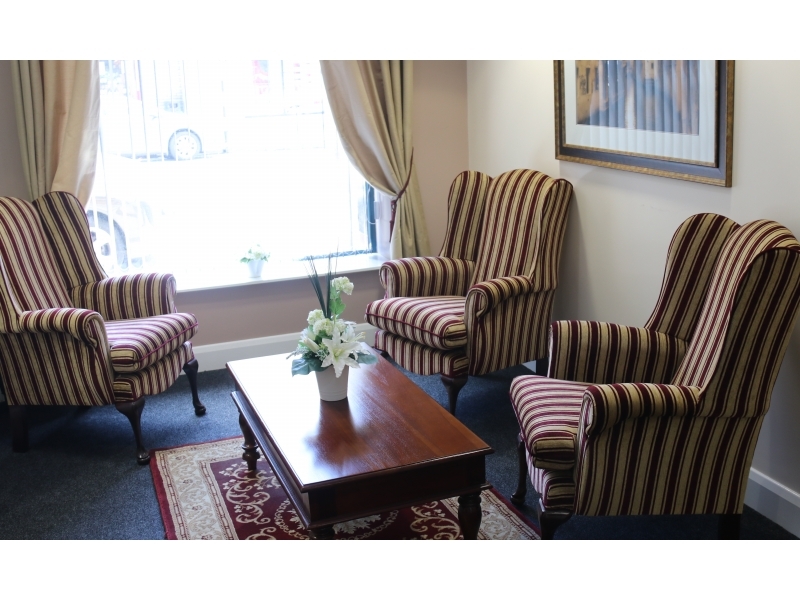 The Funeral Home is adjacent to Gullane’s Hotel which offers catering facilities, if desired.